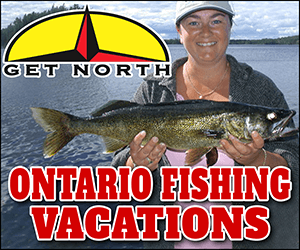 I have been reading about the blue pike / walleye in posts and on the internet. Genetic mutation, it happens all the time in nature. I think I read somewhere that it is not at all a different strain just simply a difference in appearance. "Male and female pike are similar in appearance, and both are variable in color. 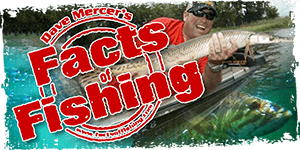 A fish from a deal stream or lake will usually be light green, whereas one from a dark slough or river will be considerably darker. The underparts are whitish or yellowish The markings on the sides form irregular rows ol yellow or gold spots. Pike with a silvery or blue color variation are occasionally encountered and are known as silver pike." A little excert from an article I have. Just a colour variation. May be due to habitat, water conditions (ph level, minerals etc.) or forage. Interested in seeing those pics. Could be a albino fish ? that would be a new one, funny that you got 4 of them together too. I remember reading a theory that the blue walleye is a fast evolution to the change in climate and that the bluish hue is an excretion used to repel the excess UV rays, almost a natural sunblock. There was actual science in the article, although I cant remember where I read it. Interesting theory though! While we do not live in Canada, my husband and I spend all our spare time there fishing for trophy pike. I had heard of silver blue pike, but never seen one until 2002. Apparently not all pike lakes hold these fish. I caught a big one and turned it in to the Fresh Water Fishing Hall of Fame in Hayward, WI. They awarded me the all tackle record for this fish as they recognize it as a seperate species from a typical northern pike. I have experienced all different colorations on pike throughout North America, particularly different lakes (which I attributed to forage and environment) but also within the same lakes, same spots, same time of year, same sized fish. I can only think genetics plays some part here. However, the silver blue pike I caught was not even close to anything I had seen before, as was mentioned at the top of this thread it had no spots. And I was way too far north for muskie. There has been a lot of studies on this species, but it is recognized as a seperate species.